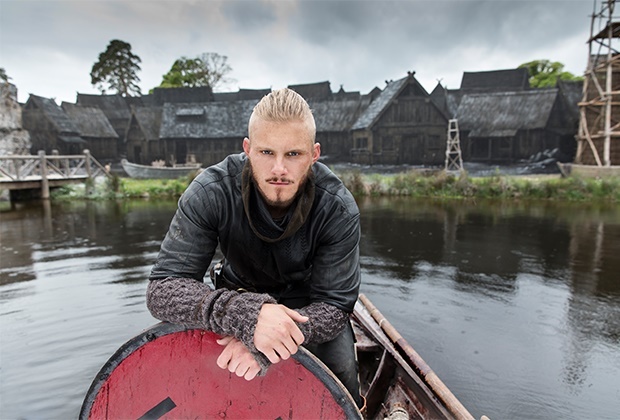 Cape Town - Nothing could have prepared Alexander Ludwig for the level of fame he’s reached in Vikings, History’s breakthrough drama. Not even starring as the villain, Cato, in the smash-hit The Hunger Games - a role that earned him the MTV Movie Award for Best Fight and the Teen Choice Villain Award. Alexander won this year’s Canadian Screen Award for Best Lead Actor for his increasingly prominent role as Björn, the eldest son of the late Ragnar Lothbrok (Travis Fimmel) and Lagertha (Katheryn Winnick). Björn is one of the longest-running characters in the show. Given Vikings’ track record of killing our favourite cast members, are you feeling nervous? Working on a historical drama, you can actually follow the story of the person and you can see what will end up happening. But the one thing that I do love about our show is that Michael [Hirst, the creator and writer] does not shy away from surprising the audience and taking a creative liberty in killing off a character that shouldn't have been killed off. At the end of the day, we're on a TV show, and what's more important than just depicting history is also bringing drama where we can, so that it's an interesting show to watch and people can be captivated by that. So whenever Björn does end up dying, all that matters to me is that it's a good death and that it will shock the audience. Björn’s always been motivated by a desire to follow in his father’s footsteps. Has this changed with Ragnar’s passing? Dead or alive, his main goal is to make his father proud. A theme that you start seeing is what a detriment that could be to you as an individual, living your life for someone else as opposed to yourself. Björn gets to explore more in season five, even reaching Africa. Tell us about his journey. It's a pretty spectacular season. The fact we get to film in different places and we get to see vikings in different settings like the desert is just surreal. Even just being there in that costume, it just doesn't fit and it is very cool to see how the episodes turned out. What do you admire most about Björn? His heart. I'd say he's arguably the most just person on the show. His moral compass, it's solidified, whereas for others, it varies depending on the situation. Although I wouldn't say that he's been the best in his relationships. Has being in the show affected your everyday life? I will say that the the shorter haircut in the first season was not an easy one to walk around with. But at the end of the day, I love what I do and I'd sacrifice a lot to be on this show. The second half of season five is now streaming first and only on Showmax, with new episodes coming weekly every Thursday, express from the US.